Wait, that’s not AC/DC is it? Apparently I need to shore up my classic rock knowledge! Perhaps to get a good dose I’ll just head on down to Adelaide, Australia and sign on for a white shark cage diving charter and experience with the guys at Adventure Bay Charter who pump underwater speakers full of AC/DC’s You Shook Me All Night Long and ironically If You Want Blood. Instead of chumming for the sharks these days – which seems to rile them up and lead to aggressively charged viewing – the low frequencies in these songs are thought to be the lure that leads them in towards the boat. Now whether that’s something they’ve always been attracted to (low frequency whale songs anyone?) or they’ve learned by association (low frequency boat motor sounds = chum?) is anyone’s guess at the moment, but let’s be real: SHARKS LOVE CLASSIC ROCK! Perhaps it’s a mystery that no one needs to pry apart but just enjoy. 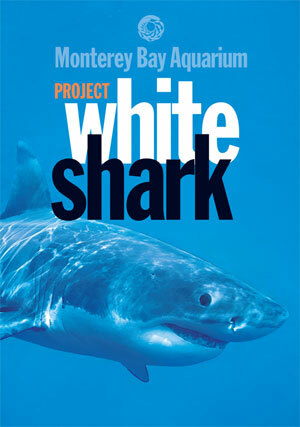 Also exciting, the copy of Project White Shark from the Monterey Bay Aquarium that I just ordered. For ten years now I’ve marveled at MBA’s tireless patience and tenacity in researching and displaying these big beautiful predators. There’s still so much to learn, but this release promises to shed quite a lot of light on the summary of their project’s endeavors so far. Pick one up if you’re a shark nerd like me! You can also read more from MBA about sharks and especially their protection with regards to the shark fin trade over at their blog Sea Notes, where Executive Director Julie Packard posted this passionate take on the issue.